Should officials have replayed controversial late call? Should officials have reviewed critical out-of-bounds play that went in Virginia's favor? 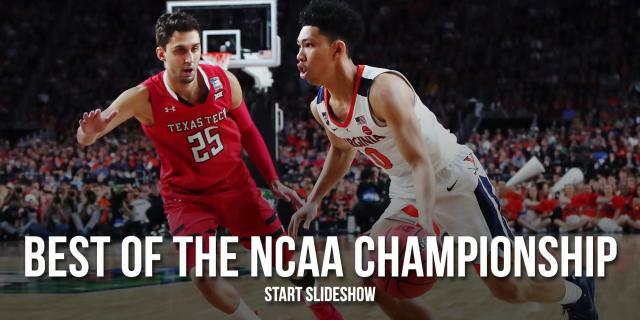 Virginia’s national championship game victory over Texas Tech on Monday was an overtime classic. It was also one that raised some big questions about the use of replay review thanks to a critical call in the game’s waning moments. With around a minute remaining in overtime, a long rebound off a Virginia miss led to players from both teams chasing the ball into the backcourt. 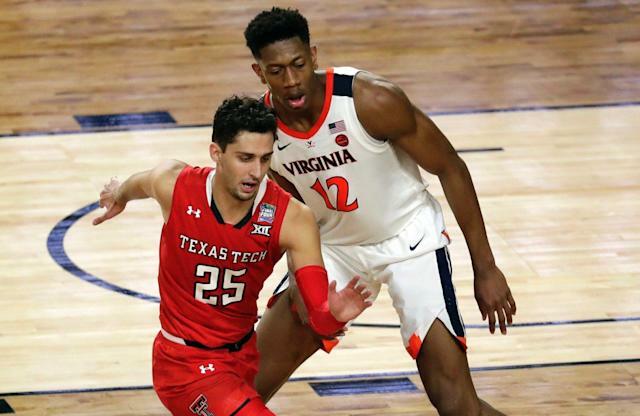 Texas Tech’s Davide Moretti corralled the loose ball before Virginia’s De’Andre Hunter knocked it out of his hands and out of bounds. The whistle blew with 1:06 remaining. It was Texas Tech’s ball with Virginia leading, 75-73. It seemed a simple out-of-bounds call similar to those made multiple times in every basketball game that’s ever been played. But with the stakes this high and the moment in a game so critical, officials took a long look at the play to make sure the ball belonged to Texas Tech. In the end, they decided that it didn’t. Using high-definition slow-motion video to painstakingly review the play, officials determined that after Hunter knocked the ball loose, it hit Moretti’s right pinky before bouncing out of bounds. More than 2:30 after initiating replay, officials reversed the call on the floor and awarded the ball to Virginia. Ty Jerome went on to draw a foul and hit a pair of free throws to extend Virginia’s lead to 77-73 with 41 seconds remaining, putting the Cavaliers in commanding lead of the game they went on to win, 85-77. Had the Red Raiders been awarded possession as it was called on the court, the circumstances of the game would have obviously been dramatically different. Is this really the best use of replay? While replay appears to have led to the correct call, the use of it here raises one big question: Should officials be using replay at all in a situation like this? Replay review is a source of contention in almost every sport that it’s used, but it’s used because most involved in the games prioritize getting the call right over the downside of replay, the biggest of which is slowing down games. But replay was meant to get the obvious calls right and make sure that egregious officiating mistakes are corrected. This was not an egregious officiating mistake. In games without cameras, it would have been called Texas Tech’s ball on the court and remained that way, and nobody on the court or in the stands would have a legitimate gripe. An argument can be made in this instance that replay showed Virginia’s Kyle Guy fouling Moretti, hitting him on his elbow from behind as the ball bounced away. But that wasn’t up for review. It all begs the question. Is using replay in an instance like this to parse the bounce of a ball frame-by-frame over a minute detail really the best way to determine a critical call that makes a difference in a national championship?